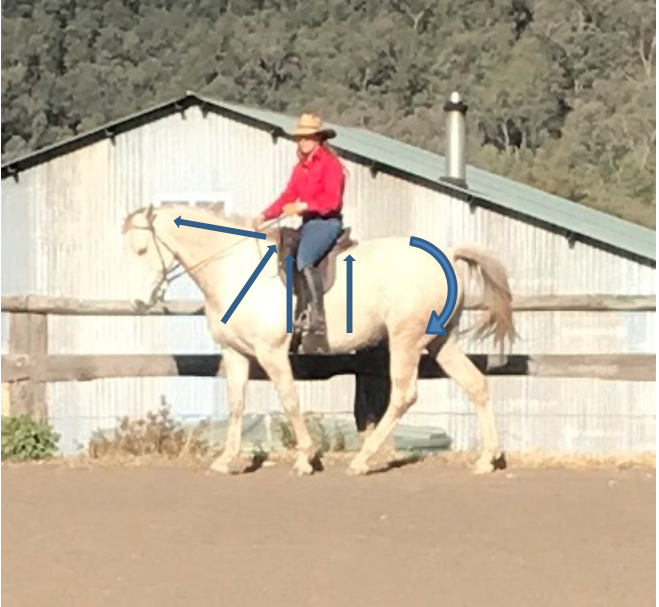 Home Articles Recognizing Good Posture, Self-carriage and Balance in the horse. 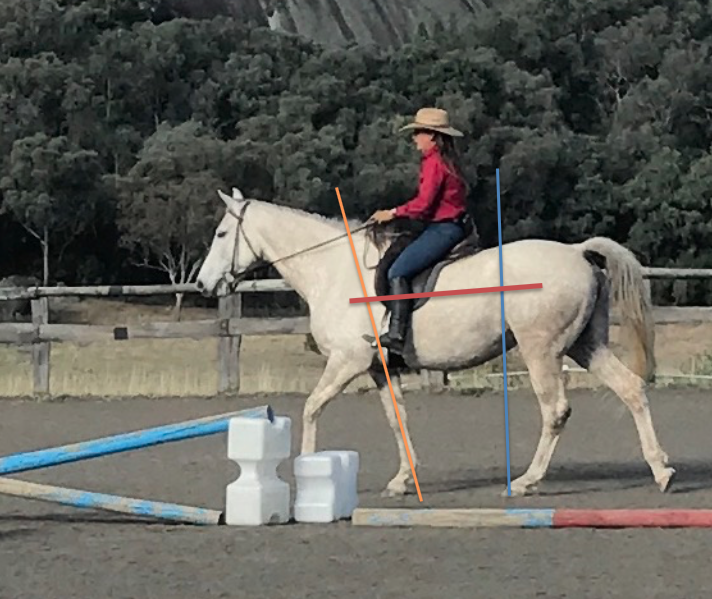 Recognizing Good Posture, Self-carriage and Balance in the horse. I am often not in a situation where I can get good photos to help people learn but a student recently sent me a couple of photos that she had on her phone. She took them while I was riding her horse in a lesson. 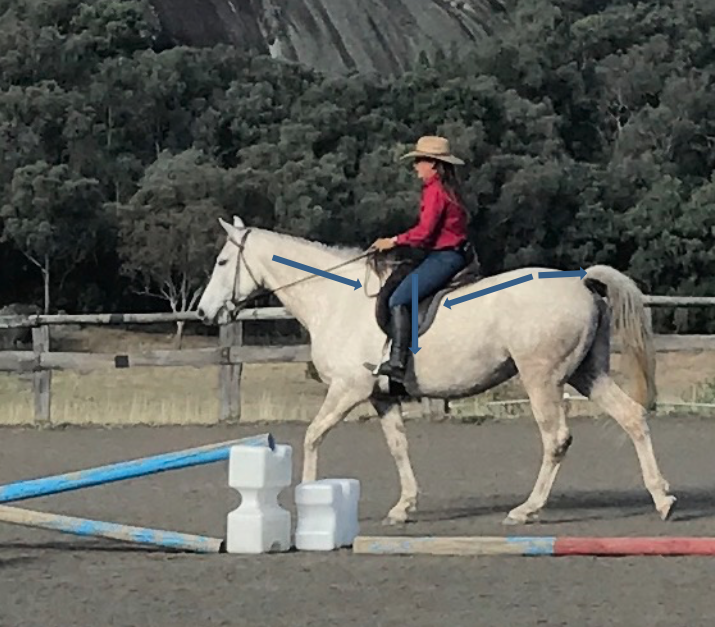 I would have been on the horse for 20-30 mins and I just worked in the walk to help the horse to start to engage her hindquarters rather than being strung out and falling along on her forehand. The after photos are definitely not the finished picture. I would like to see the horse longer in the neck and the nose slightly more in front of the vertical which would then also lead to the stride with the front legs to be longer. However the process does not always look like the finished product – we can’t get it completely perfect straight away. In the before picture we can see that the whither and back is dropping down. There is a sense of “V”shape happening in the horse’s outline with the bottom of the “V” at the horse’s whither. The hindleg is weight bearing only just under the line of the stifle or flank. The spirit level is down hill and the line of the weight bearing front leg is sloping backwards. We can see that the whiter is lifting up and back. The horse’s back under the saddle and the loin area is lifting. The neck is stretching forward from the whither. The sacral area is lengthening back and the pelvis tucking under. I think this picture is a great example of the hindleg stepping deeply under the body and weight bearing in a way that is starting to support the weight of the rider and the horse’s own forehand. There is still a look of softness in the hindleg as there is in the rest of the body – softness is one of the key indicators of correctness. The hindleg is weight bearing in front of the line of the stifle or the flank. 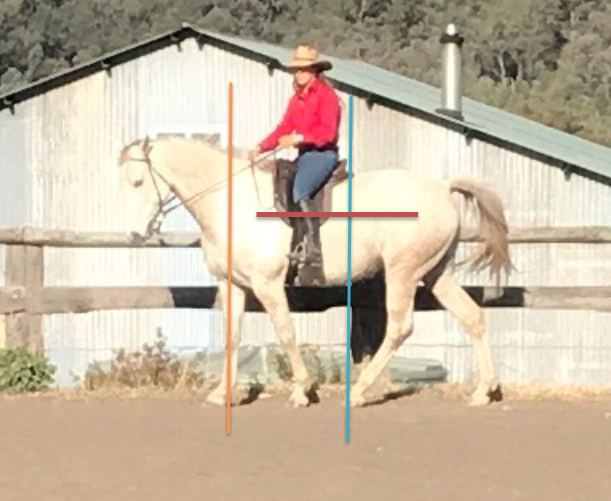 The “Spirit Level” (the balance of the horse’s torso) is becoming uphill and the front leg in its weight bearing stage is staying on the vertical without the fetlock joint being over flexed and strained. It is in a more upright position. I hope these visuals can be helpful for people in starting to recognize what to look for in correct biomechanics. When we don’t know what we are looking for it is very hard to find the way to get there.